For close to two weeks, a poster of an alleged National Resistance Movement (NRM) supporters’ walk has been making rounds on social media. The catch to this event was that singer Bebe Cool was to be the chief walker, which event the poster says is to take place on September 27. 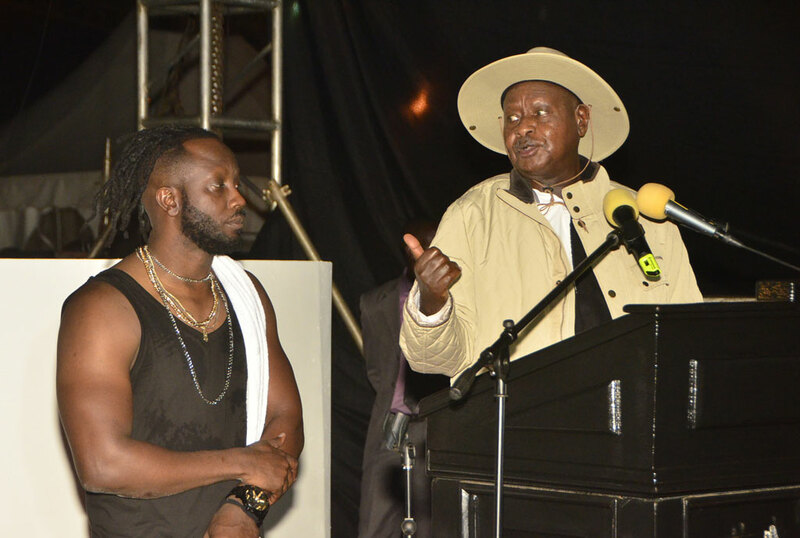 However the singer has come out to rubbish the poster saying he has no knowledge about this event that is reportedly supposed to be a gathering of all President Museveni’s bazukulu. Bazukulu, a Luganda word to mean grandchildren has of late been used by the President whenever he is addressing the younger generation. “I would like to inform you that I don’t know this activity and am not part of it. Whoever came up with this artwork/Propaganda had very bad intention for my name/brand come this date,” Bebe Cool posted on social media. She however says that as far as she knows Bebe Cool was not supposed to be part of the walk and doesn’t not understand how he got on the poster.